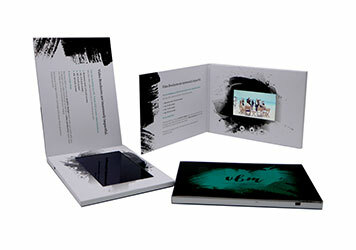 Video Brochures with Best LCD from the UK's Leading Brochures Manufacturer. 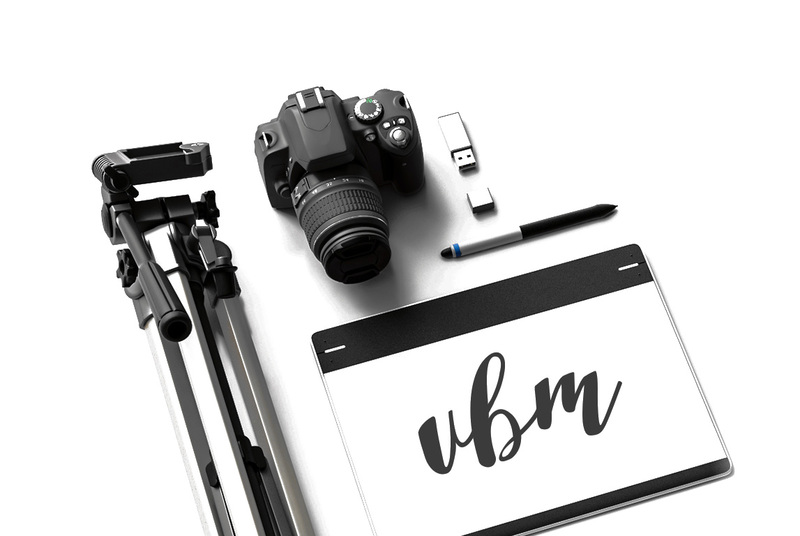 Images often have a more lasting impression than words, so rather than producing a traditional brochure for your customers why not present them with a video in a video brochure? 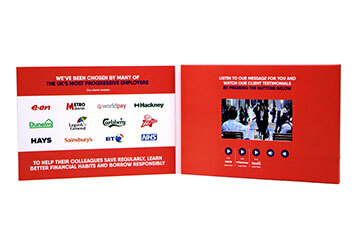 Our smart video brochures contain LCD screens which play up to two hours of video content. 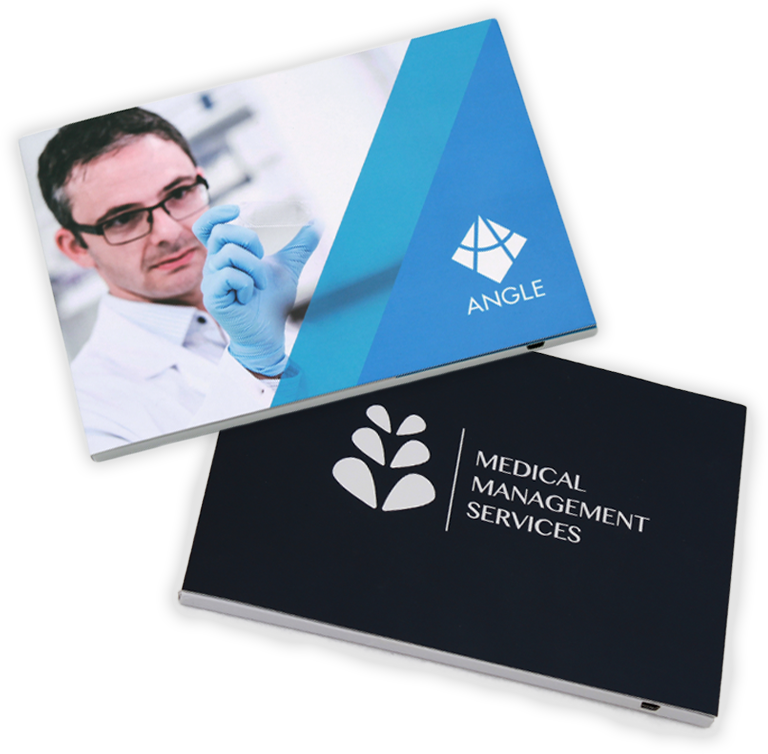 Designed to incorporate your branding, they are the ideal leave piece for sales and marketing teams and can effectively demonstrate your products and services. Our video brochures range in size, with the smallest screen being comparable to an iPhone or smart phone and the largest to a tablet device or IPad. Immediate impact – made to remember. Our bespoke video brochures are designed to your precise specifications. Every aspect of the product, from the material it is made out of to the content itself, can be customized to your needs. Through a clear understanding of both your needs and those of your customers, we deliver unique marketing materials on time and on budget. We offer a full video production service, including animation, to help create content that is impactful and on message for your brand. If you already have a company video which you would like to include in the brochure we can assist you in reformatting it to a compatible file and size if needed. We can also incorporate pictures and PowerPoint presentations into your video content. 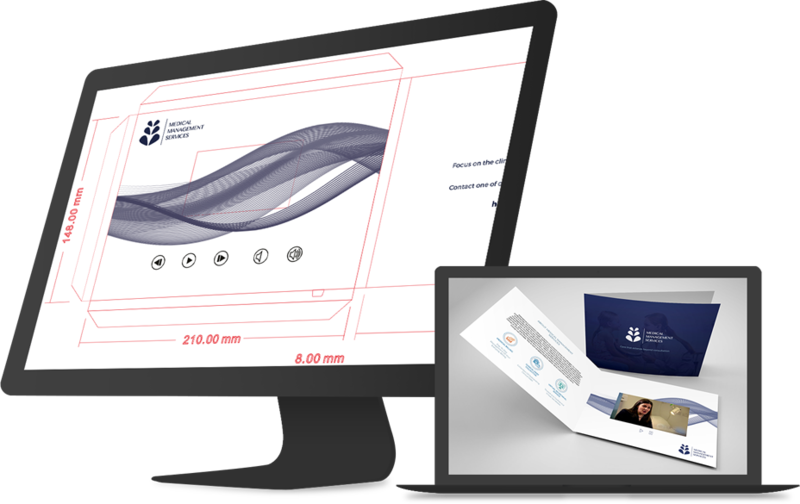 Video Brochure Marketing offers a wide range of marketing materials, each customized to your individual needs while remaining compliant with consumer safety requirements. Our video brochures are also fully rechargeable using a USB cable which is supplied with each brochure. 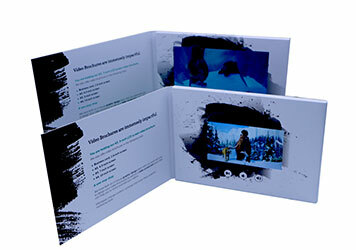 Take a look at our different video brochure sizes. If you cannot find the size you want then Drop us a message and we will work out a suitable solution. We have meticulously handcrafted our production process to ensure that you receive the highest quality video brochure, at a competitive price. 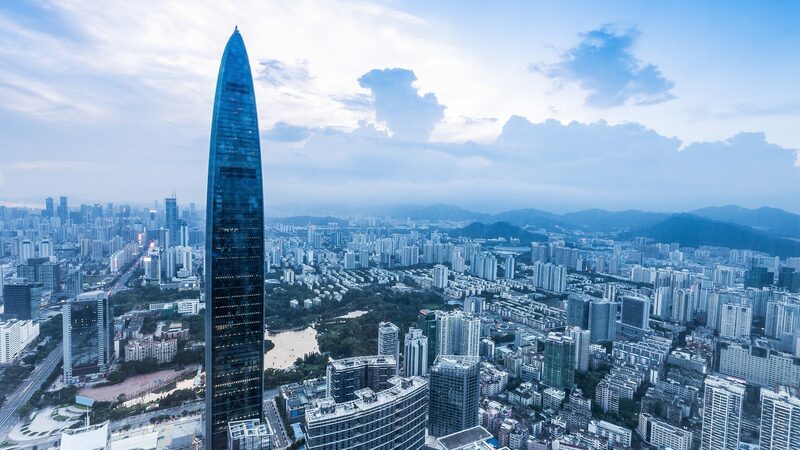 Watch our video of our production process at our manufacturers in Shenzhen! We like to keep our Instagram up-to-date with some of our latest video brochure orders and to give our prospective clients an insight into the order process and how our video brochures are made.